Ingelmunster has another pearl in its crown! 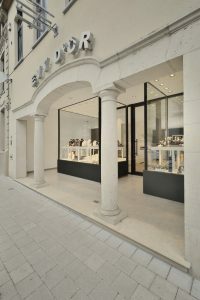 Goldsmith and jeweller Evy d’Or in Ingelmunster got a make-over recently with a fully new store concept. As a jewellery designer, she has plenty of style and good taste – but designing a store is a different cup of tea. 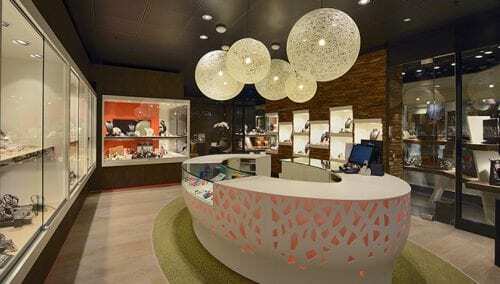 This is why the jewellery shop owner contacted WSB Interior Construction with the request to devise a new store concept for her. 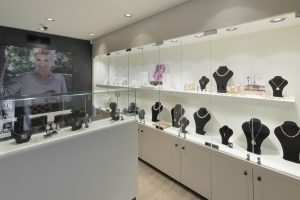 The briefing specified a warm, intimate ambiance with optimal expression of what she stands for: high-end hand-made jewellery and a carefully selected range of bigger brands. 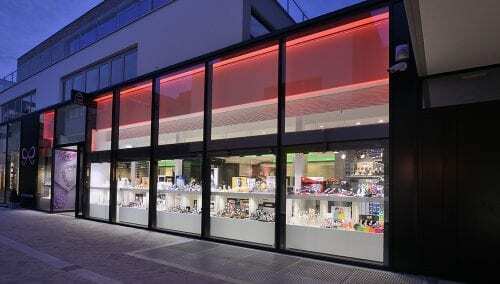 The request was also to increase the indoor space by decreasing the shop window spaces. The customer is taken on a journey into feeling, tasting, smelling more, in accordance with the latest trends. Being in the store, rather than the more distant approach of letting the customer focus on the shop windows from the outside. Today, the customer makes a deliberate decision to come to a physical store with a real shop concept. They expect to find personal assistance and a warm climate, giving them the opportunity to focus on a new piece of jewellery. Evy is aware of the importance of this trend, and chose to accommodate the trend. This resulted in a shop with a much larger interior, offering more opportunities for presenting her range in-store. This has significantly enhanced the interior’s shopability. This does not mean to say that the shop windows were eliminated. With almost ten metres of shop window, there is plenty to see from street side. A key switch was the view inside from the outside in. Where this was minimised in the past, the new choice was more transparency. The peek into the attractive, warm interior gives the customer an incentive to come in. It creates a ‘fade-in’ of the two worlds of interior and exterior. The style of the store concept is based on calming shades and warm materials, such as horsehair on the wall for a natural look, and mother-of-pearl structures on the furniture. The wood-look floor completes the image. From the exterior, the challenge was to match up the old sandstone front wall with the new situation. 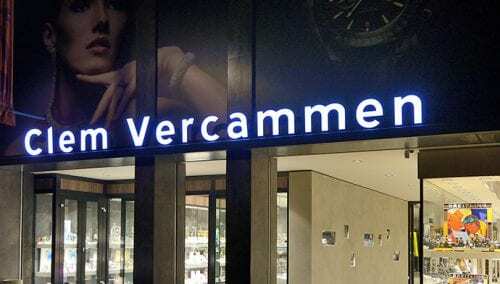 The choice was to create a contrast by applying a gleaming black ceramic finish to the shop windows. This modern-looking window style ensures a wonderful balance between old and new. 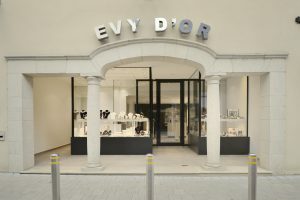 The final result is a great success, ensuring Evy d’Or will be up to date for quite some time to come!